At first Antonio Brown thought the gunshots he heard were fireworks, until someone yelled that his son, 7-year-old Amari Brown, had been shot. According to WGN-TV, Amari was shot in the chest Saturday while playing outside on a Chicago street during the July Fourth holiday. 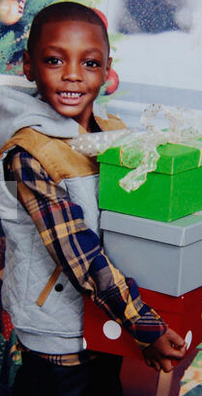 Amari later died during surgery at a local hospital. Brown was standing near his son at the time of the shooting and told the Chicago Tribune that he picked up his son and sped off to the hospital. "I picked him up and put him in the car. I was in the back seat; I was talking to him the whole time," Brown said. "I was like, 'You cool, I know you cool.' "
Brown said Amari was still alive in the car and responded to his father, saying, "Yeah, I'm cool. I'm cool." Chicago police say that the proximity between Brown and his son, Amari, at the time of the shooting was no coincidence, and that they believe the bullets were intended for Brown, reportedly a high-level member of a local gang. Chicago Police Superintendent Garry McCarthy ripped into Brown's lengthy rap sheet during a press conference Sunday, arguing that if Brown were off the street, his son would still be alive. Brown has been arrested 45 times on various offenses ranging from burglary to gun possession. "If Mr. Brown is in custody, his son is alive," McCarthy hypothesized. "That's not the case. Quite frankly, [Brown] shouldn't have been on the street." Police say that Brown is not cooperating with the police investigation into his son's shooting. Amari is one of 15 people who were fatally shot in Chicago during the July Fourth holiday weekend, WLS reports.